Welcome to Justin’s Debut-Dance Ball, a virtual party to celebrate SCBWI-BI members’ debut publications. 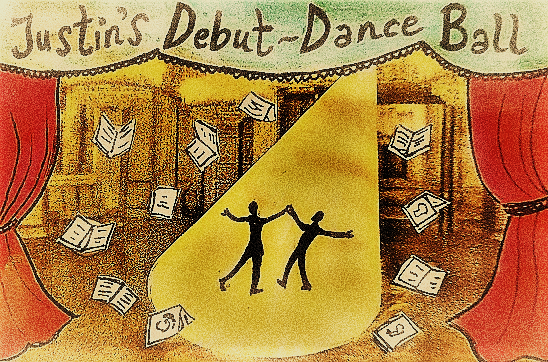 This month, Justin welcomes Picture Book author, Coo Clayton to his ball, and invites her to take a turn on the dance floor, whilst he asks the questions only a newly-published writer can answer! Welcome to the ball Coo! Would you like some eggnog, or perhaps a mulled wine to kick things off in festive style? Thank you, I'd love a drink especially since it's Christmas and we are celebrating. I'll skip the mulled wine and have something cold and with bubbles please! Coo, this is your party and you get to choose the tunes. As it’s nearly Christmas, do you have a favourite yuletide number to dance or write to? When I'm writing I prefer silence, but I do love a Christmas boogie. Anything from Mariah Carey, All I want for Christmas to the Pogues, Fairytale of New York. I used to sing in a classical choir so for me it's hard to beat traditional carols at this festive time. Click here to join Coo and Justin on the Christmas dancefloor. Many congratulations on your debut picture book, Maggie’s Mittens. What was it like to hold your published book in your hands? It arrived when I was at work - I'm a primary teacher. I got a text from my husband saying, 'It's here.' I remember racing home to find my copy had arrived from the publishers. Even though you spend so long looking at the words and images in the run up to publication, it still comes as a surprise holding and seeing it in actual book form. It was lovely and shiny; I smiled a lot that day. How did you celebrate the news that you were to be published? I first went to meet the publishers at Black and White in January 2017 but didn’t sign the contract until April that year. They wanted to see various other things I had written and then it took time to match me with an illustrator. Alison Soye my illustrator and I signed the contract together in April. We skipped out the office and went straight to the Ship on the Shore a lovely restaurant and bar just around the corner from the publishers' office in Leith. We ordered 2 glasses of champagne. It tasted very good. I was lucky enough to be at your Edinburgh launch event. Everyone, including yourself and Alison, seemed to enjoy themselves. How did it feel to be sharing your published book with us all? I was so delighted that the launch was going to be in Waterstones on Princes Street. That was my dream venue before I was even signed. I tried to remain really calm when the publishers confirmed it was going to be there but secretly I was excitedly screaming inside. The event itself felt a bit like a wedding. Friends, family, cake, drinks and a wonderful partner to share it all with! I went into 'teacher mode' when talking to the audience. Public speaking is not my thing especially when its 130 friends all looking emotional and proud. I was worried I might well up, but I managed to keep it together and enjoyed every second. What’s the response been from children who’ve already been introduced to Maggie? I think a lot of parents and children can relate to the story and the character. I've received some great reviews for local and national press, but the best judges are the children. People that have bought the book have commented that their children want the story again and again at bedtime, so I am delighted. Ten seconds to describe Maggie’s Mittens. Go! 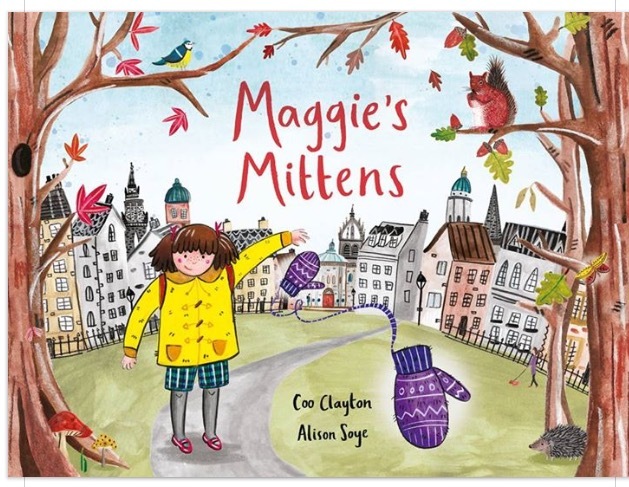 Maggie’s Mittens is wonderfully illustrated by Alison Soye. 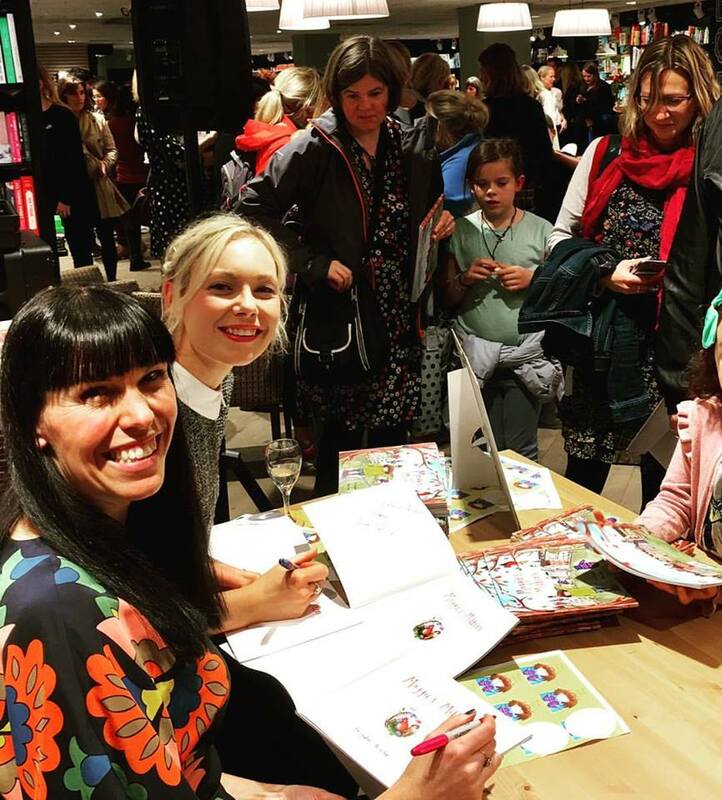 At the launch you mentioned that your publisher gave you the opportunity to find your illustrator. Can you tell us a bit about that process? Yes, it felt strange at first to be doing the searching for the illustrator but on reflection I'm delighted it worked like that. I can't imagine being matched up with an illustrator that you didn’t choose yourself. I found 3 professional illustrators who were very keen to come on board. I pitched their work to the publishers and we all agreed that Alison’s art work matched my story the best. You also said that Maggie made her first appearance at a crit group. How did being part of the group help bring Maggie and her mittens to life? The SCBWI crit group that I’m in was absolutely key to bringing Maggie’s Mittens to life. I had never shown anybody my stories until I joined SCBWI over a year ago. 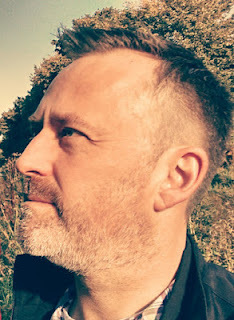 Meeting like- minded people, listening to their advice and giving and receiving writing critique gave me confidence I needed to share my work and the nudge I required to send it off to publishers. Coo, you have lots of events coming up where you’ll be sharing Maggie’s adventure with your young readers. How have you prepared for this? Lots coming up. School visits, library visits, Christmas fayres and book shop readings all lined up over the next few months. I’m really enjoying this part of being an author. I love to plan events as well as entertain children. With 16 years of primary teaching under my belt I don’t feel too nervous about taking Maggie’s Mittens on tour! The hardest part is trying to fit it all in. I generally get an email most days from the publisher’s events staff asking about availability. With 3 young kids and teaching 3 days a week I can’t do as much as I’d like but I’m going to throw myself into it in the first year or so. We’ve got art and craft activities, puppets and props organised to help bring the story to life. Can we look forward to enjoying another adventure with Maggie? I do hope so. My dream would be for a ‘Maggie trilogy.’ I’ve written a second book about Maggie and I’m delighted to say Alison Soye, the illustrator is on board. We are in discussion about this with the publishers at present so watch this space! And finally, the most important question of all… did you have a favourite pair of mittens when you were Maggie’s age? Ha, I had to ask my Mum and Dad about this question. Apparently not, but I was very particular about my shoes and liked to kick every stone I passed! Coo’s Shoes has a ring to it! Thank you, Coo for joining me at the Debut-Dance Ball. Maggie’s Mittens is out now, published by Black & White Publishing. Coo Clayton grew up in St’Andrews, Fife. 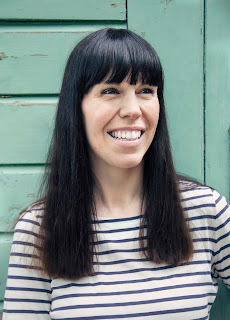 She studied Education at Edinburgh University and currently works as a primary teacher. 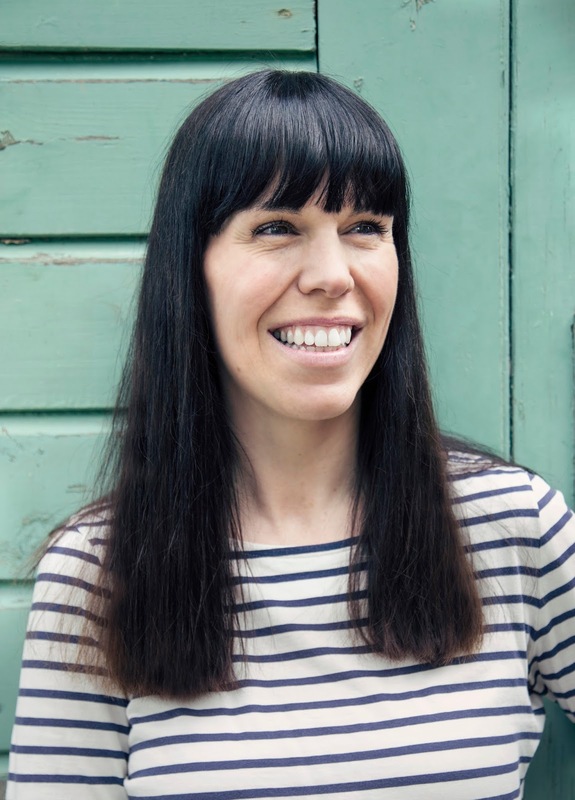 Coo lives with her husband and 3 young children who all help inspire her work. She enjoys writing about family scenarios and combing these with the rich Scottish culture and landscape. Maggie’s Mittens is her first published children’s picture book.